Finish the Common Core problem from Thursday. Discuss your answers with your partner. Be ready to share out on items 1 and 2 at the end of 5 minutes. below and begin to work on the next set of math problems. 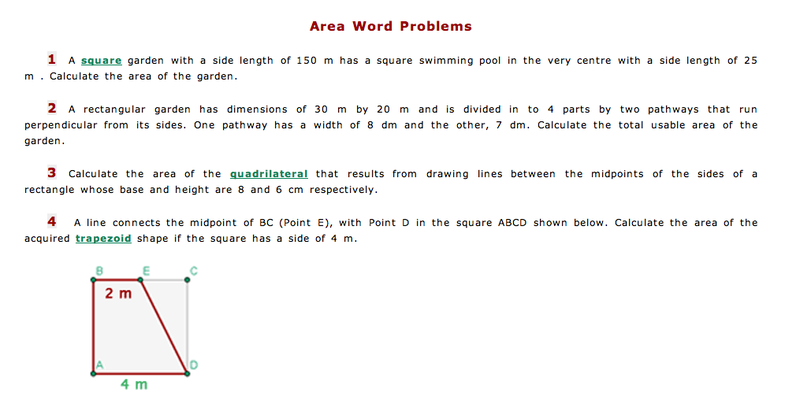 Complete the first 10 set of problems. Be sure to completely explain your response. You need to work out the problems first Some of these may seem familiar as a number of the items were used for previous problems of the week. After completing the first 10, you will then go to the links below. These Common Core problems all use area and perimeter. Use these links to open the files. The first file contains problems 1-4. The second file contains problems 5-6.